CARL Frampton can’t afford to take “his eye off the ball” as he prepares to face Luke Jackson, his coach Jamie Moore has warned. Frampton and unheralded Australian Jackson (15-0) square off at Windsor Park on August 18 with ‘the Jackal’ odds-on favourite to win comfortably. But Moore warns that “unknown quantity” Jackson could rip up the script in Belfast and a shock win for him could scupper Frampton’s plans for a third fight with Leo Santa Cruz. “Everyone thinks that because Jackson isn’t a big name, it’s not going to be a competitive fight,” he said. “Jackson is an unknown quantity and we really don’t know how good he is or how good he can be. “He’s an unbeaten fighter and just because he hasn’t fought at a certain level yet doesn’t mean he can’t fight at that level. “We can’t take our eye off the ball for one minute and overlook Luke Jackson especially as there are so many big fights on the horizon in terms of Josh Warrington and the Santa Cruz rematch – that’s the one Carl wants, he really needs that fight I think. “He can’t take his eye off the ball for one minute but I’m sure that the occasion is going to be amazing regardless of the opponent and the bill is stacking up nicely as well. Ideally, of course we’d have loved a big name but it wasn’t meant to be. 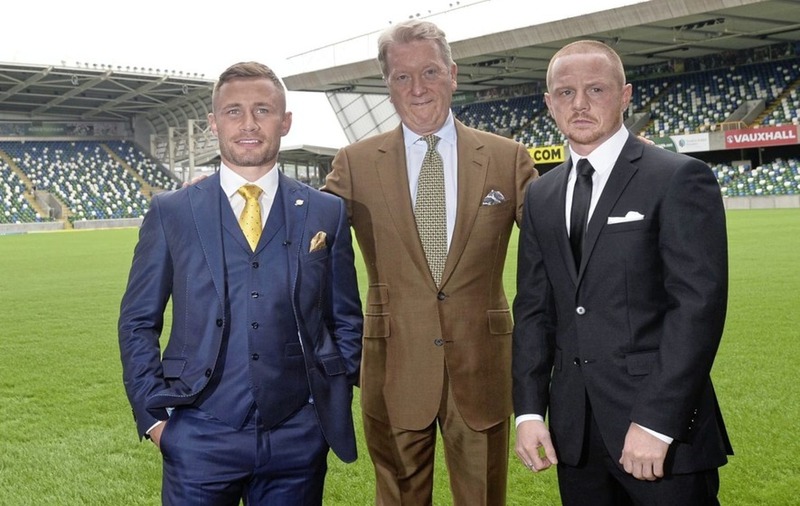 Moore is well aware that he may have to crack the whip during this training camp as Frampton prepares to fulfil his childhood dream of fighting at the home of the Northern Ireland football team. “Being a trainer is not just about giving someone a drink in between rounds and telling them what to do tactically,” he said. “Sometimes you’ve got to mother them, put your arm round them when they’re feeling a bit down, or kick them up the arse when they need it. You’ve also got to be a sports psychologist; you’ve got to understand you’re fighter. “I’ve no doubt that he’ll have days when he needs geeing up to get through the training. I’ve been there as a fighter myself and then sometimes you need that carrot dangled for the next fight to make sure you perform. “I know Carl now. I’ve been around him for nine months and I’ve spent a bit of time with him away from boxing to learn about him as a person as well as a fighter because they’re chalk and cheese – they’re so different. I know him inside out now and I can read him now. STEVEN Ward gets his chance to shine when he faces Steve Collins jnr in what is easily the most high-profile fight of his career so far. Cruiserweight Ward – a former joiner, warehouse worker, insurance salesman and youth worker at Monkstown ABC – takes on Collins (son of former two-weight world champion Steve ‘the Celtic Warrior’ Collins) at Windsor Park on August 18. Now 7-0, Ward has become a regular on Carl Frampton undercards and has had little trouble with the journeymen he has come across up to now. Collins is a step up for him. 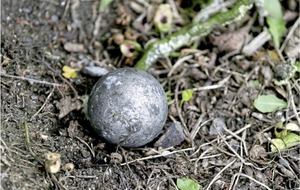 “To land this for Windsor is unreal,” he said. “Collins is a nice guy. I fought at the Devenish and he was there too and we ended up having a bit of lunch together afterwards and chatting. “He’s a big name after his dad – everyone knows Steve Collins – so I’m excited about it, I’m really looking forward to it because it’s my first real test as a pro. “Some of the fights I’ve had, I didn’t really get that butterfly feeling in my stomach, but I’m getting it for this which is great – it’s good to have that back because I had it so many times in the amateurs. “It gives me a bit more focus in training camp because Collins is a live opponents, he’s coming to win just as much as I am. It’s a good step up for me, he has a good record and I’ve fought a few tough-enough fellas but nothing to write home about to be honest. Ward will have advantages in height and reach over muscular Collins who lost an Irish light-heavyweight title challenge against Paddy McDonagh last year. “He is well developed muscle-wise,” said Ward. 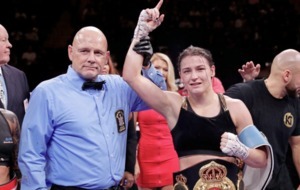 “But that doesn’t really say much in the boxing game. You look at boys who you’d think you could snap in half and they’re knocking everyone out - it’s all about timing and placement. “He’s a bit smaller than me but it’s a good fight for me and it’s at Windsor, so what more could you ask for? “My granny lives just over the road from Windsor Park, so I might call over there for a cup of tea before I walk round. I could get showered there after the fight and be back for the main event!” added Ward with a laugh. 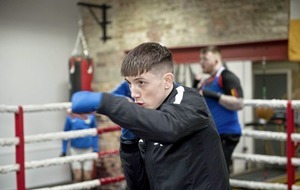 He may not have got his big break yet, but he has put in all the hard yards with Frampton, Conrad Cummings, Jack Catterall and the rest of his stablemates at Jamie Moore’s Manchester gym. “This is what I want to do,” he said. CONRAD Cummings needs to get his loss to Luke Keeler out of his system says his coach Jamie Moore. An off-colour Cummings was well beaten in Belfast by Dubliner Keeler back in April, but Moore is confident the Coalisland native can get his career back on track after he returns to winning ways. “I want to get him out,” said Moore. “I don’t care where it is, he just needs to get back on the horse and get that loss behind him and start rebuilding. “When you’ve had a loss and you’ve got that monkey on your back from having a loss, until you’ve had that next fight and you’ve got a win under your belt it always plays on your mind. Cummings was out-boxed by unfancied Keeler when they met for the WBO European middleweight title. Moore explained that the former Cyclone Promotions star had made “a few little mistakes” between the weigh-in and the fight. “There were a few things he did from the weigh-in to the fight – a few little mistakes he made – and we’re aware of them,” he said. “He knows what he did wrong, we’ve discussed it and it’s just a matter of going in and putting it all right. 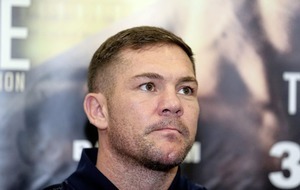 Despite the loss, Moore is confident that Cummings – who has often been spoken of as a world title contender – will get his career back on track. “Everyone has these nights where they don’t perform to their potential – unfortunately it was on a big night on a big stage,” he said.